These different symbols inform you about the type of activity. They let you know what are the emotions that you will enjoy while practicing the activity, the persons for whom the activity is intended and the age required to access the activity. You will find these symbols on each page describing the game or attraction. MAP OF TEPACAP PARK ! A wide variety of games and attractions. Tépacap is the park that meets your expectations. Safety equipment DIC-IT, our certificates and accreditation. CLICK-IT belay device is totally safe, release by mistake is impossible. Annual inspection certificates of trees and games by independent experts. Approval from Youth and Sports Ministry. 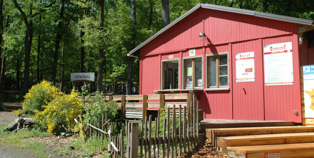 Enjoy the attractions of the park for two days. The adventure stay allows you to spend an exciting night sleeping in our wooden teepee (cabin including insulation, light, power socket, door lock and key). 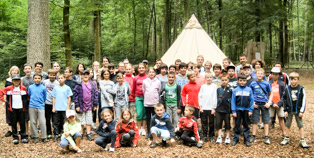 A unique moment of games, sharing, fun and relaxation in the exceptional setting of the forest of Northern Vosges. For all the news of TEPACAP BITCHE amusement park. The 2019 season is launched! Come many! The 2018 season has come to an end! We will be back on March 30, 2019, with many new features! Open 10 a.m. to 6:00 p.m.
Open from 9:30 a.m. to 7:00 p.m.
Tépacap is an amusement park with original and exciting games ! 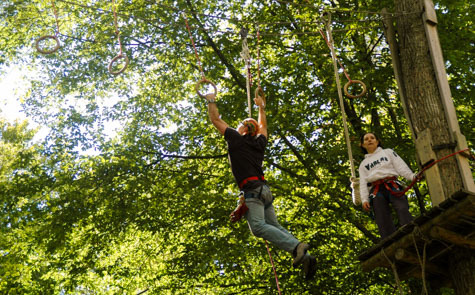 At Bitche, in Moselle, close to Alsace and Germany, Tépacap is an amusement and adventure park, set in a beautiful forest area of the Northern Vosges Massif, which offers its attractions and welcomes you for a day of leisure and fun. 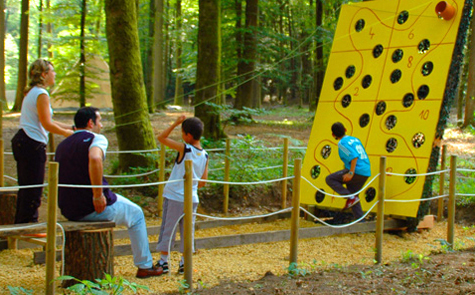 The attractions of the park are: the Téaccro tree top adventure course, the laser game outdoor, unique attractions on the ground or Téossol and other new attractions to explore every season. 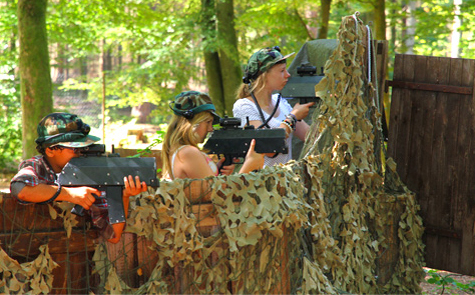 On the occasion of a family outing, a group excusion or a business seminar, come and distract yourself in our many attractions and exciting games. 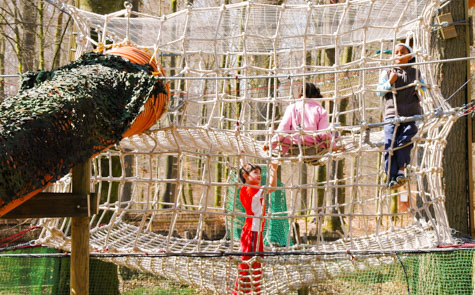 Go for the tree top adventure and the laser game outdoor. Our theme park is the perfect place to celebrate an anniversary or bachelor party (evg). Enjoy our catering proposals, order a group meal and extend the fun with our adventure stay in a wooden tepee. 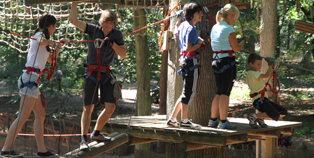 At Bitche, in Moselle, close to Alsace and Germany, our amusement park awaits your visit ! Tépacap, a theme park like no other !